This article was originally posted here at the website of the Oxford Martin School. Is it actually true that we are building a better world? Or are those who claim that things are always getting worse the ones in the right? Whether we’re discussing the way of the world over a pint in the pub or dissecting the issues at an academic conference, it’s a topic that lingers constantly: how is the world changing? The evidence to answer these questions is out there, but it is often obscured by media headlines. So we created OurWorldInData.org to present long-term data on how our world is changing. 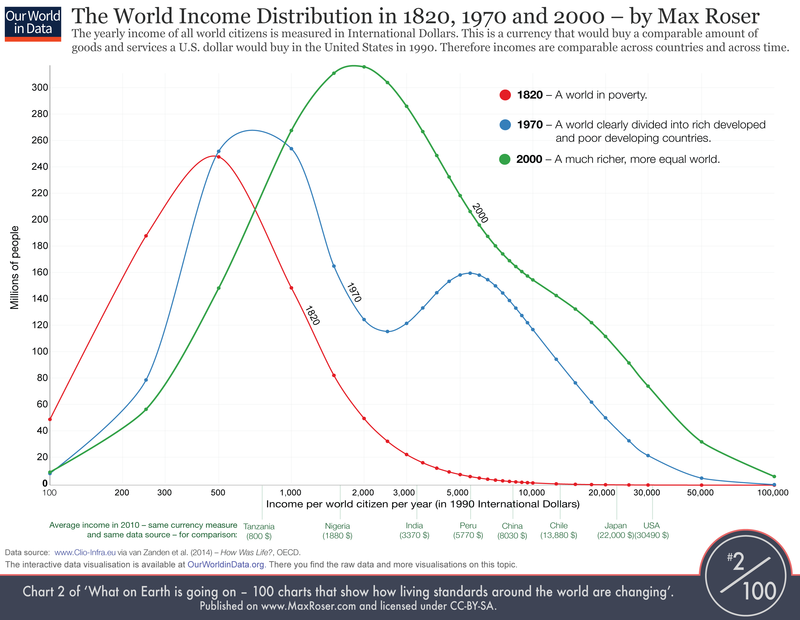 Using empirical data, visualised in graphs, we tell the history of the world that we live in, looking at long-term economic, social and environmental trends. For each topic the quality of the data is discussed and comprehensive lists of the data sources are provided, giving a trustworthy and transparent starting point for researchers. The answers to my initial questions are very clear. 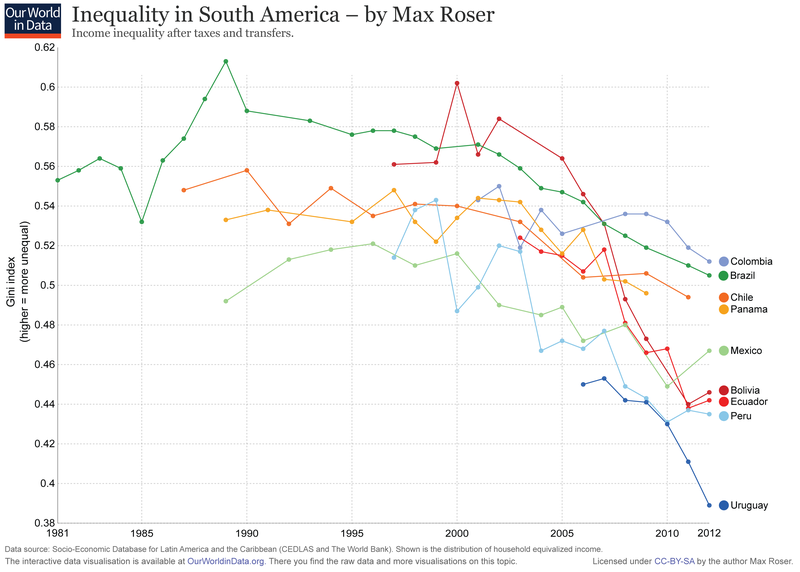 The evidence shows that we are becoming less violent and increasingly more tolerant, that we are leading healthier lives, are better fed, and that poverty around the world is declining rapidly. 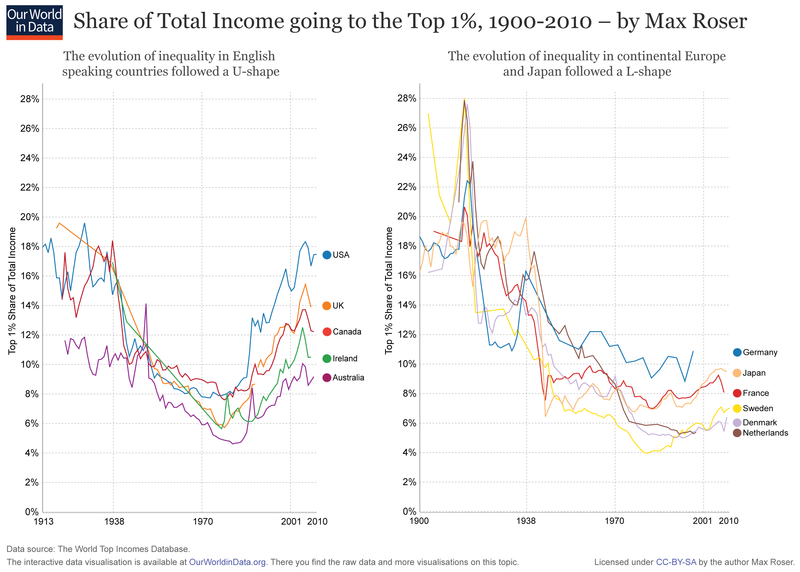 Taking these facts into account paints a very positive picture of how the world is changing. Because our endeavours to build a better future are, inevitably, linked to our perception of the past, it is important to understand and communicate the way our world has changed. Studying our world in data and understanding how we overcame challenges that seemed insurmountable at the time should give us the confidence to tackle the problems we are currently facing. OurWorldInData.org both highlights the challenges that lie ahead and demonstrates that we are indeed making the world a better place. The interactive graphic below shows the number of world citizens living under different political systems (the sources can be found in the democratisation entry on OurWorldInData). 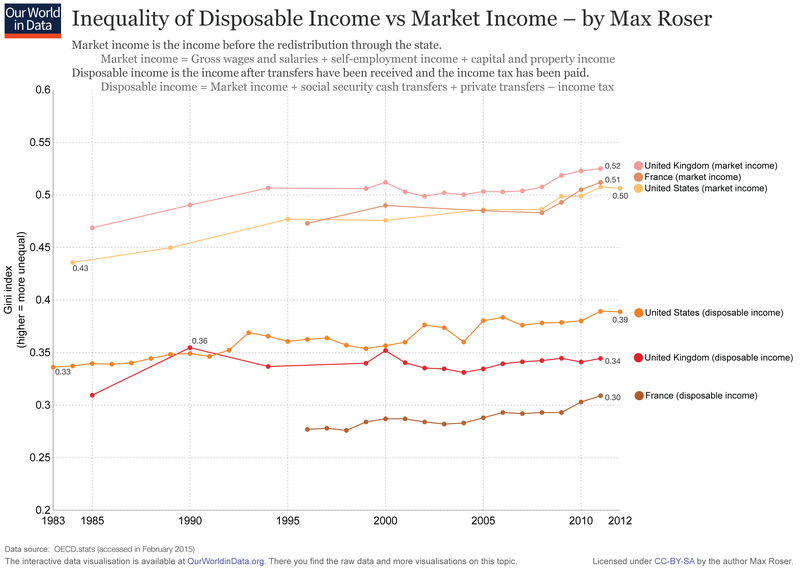 To show the percentage of people living under the different systems listed, click on ‘Expanded’. It is easy to be cynical about the world and to maintain that nothing is ever getting better. But fortunately the empirical evidence contradicts this view. We believe it is partly due to a lack of relevant and understandable information that a negative view on how the world is changing is so very common. It is not possible to understand how the world is changing by following the daily news; disasters happen in an instant but progress is a slow process that does not make the headlines. We believe it is important to communicate to the largest audience possible that technical, academic, entrepreneurial, political, and social efforts are in fact having a very positive impact. Our meta-database is freely available and my own data visualisations for this website are made available under a Creative Commons license. The website only launched this summer but because of the wide scope of topics and the accessibility, academics and journalists alike are already using it as a resource. Over the coming months we will expand OurWorldInData.org and to cover even more aspects of the world. 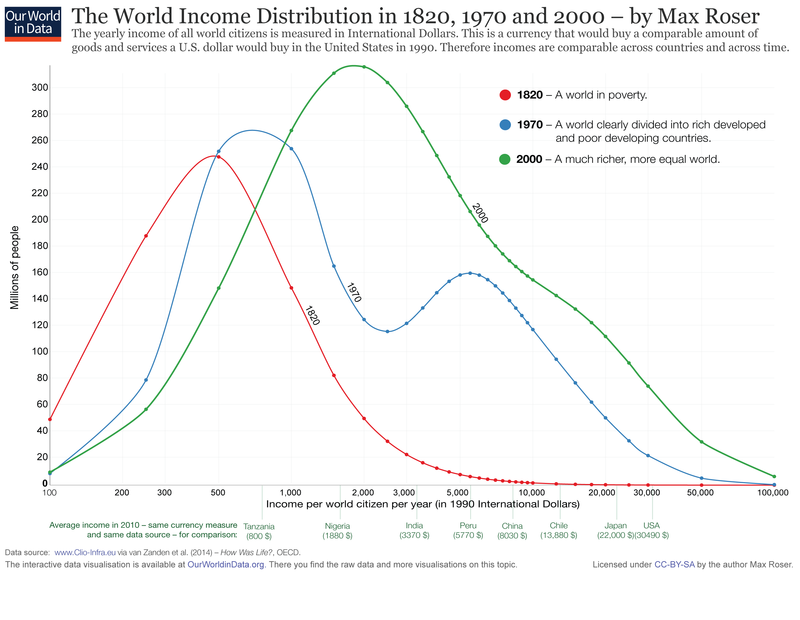 To be kept up to date on our work, follow @MaxCRoser on Twitter.